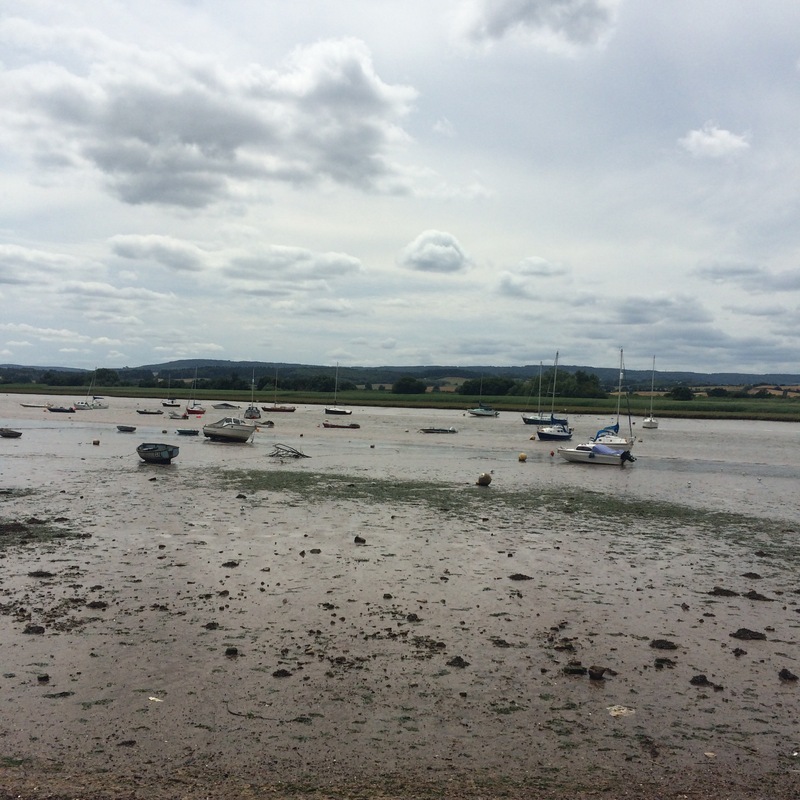 I popped down to Topsham on the train on Saturday. I had an afternoon to myself and fancied a little mooch and a picnic for one by the river. Not a bad view for my lunch is it? These little chaps came and spent a little time with me over lunch. 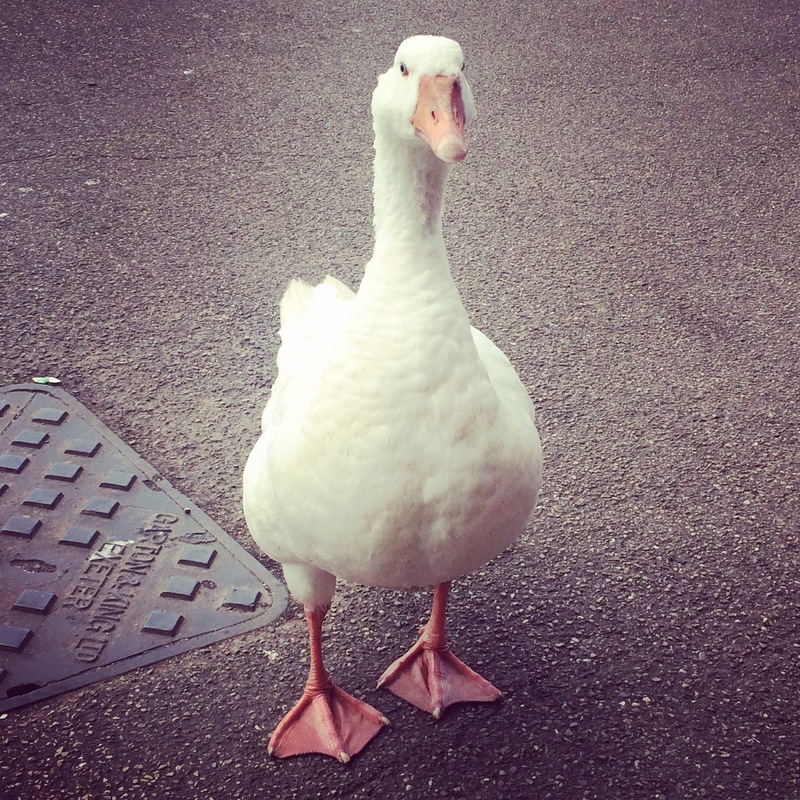 I have decided that geese are the cutest birds ever! After my lunch I decided to walk the Goat Walk. It’s an easy walk but beautiful. 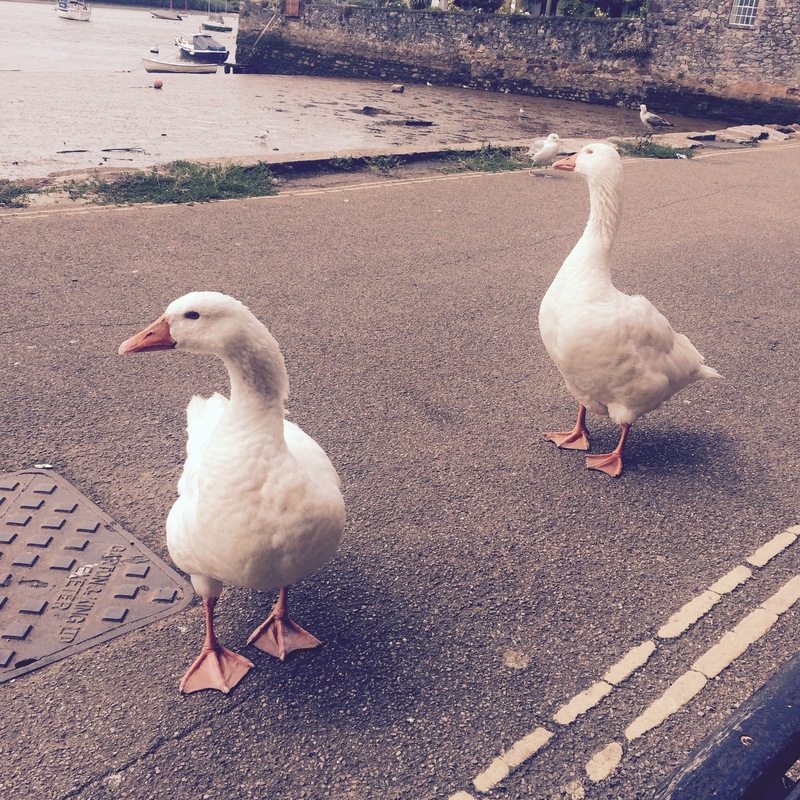 You follow the estuary before turning down country lanes. You hardly meet a soul which suits me fine. It’s wonderful. Like stepping back in time. 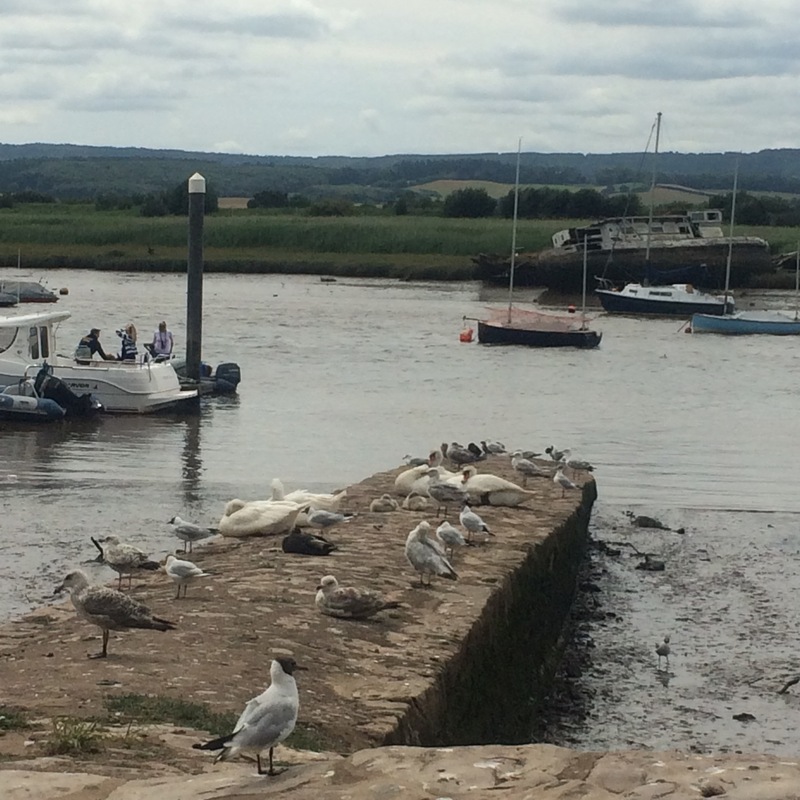 I only spent a few hours in Topsham but they were blissful. It’s nice to get away from the busy city and spend some time in your own thoughts. I have been enjoying my free time whilst I haven’t been teaching. It means I can try out new things in the kitchen. I made flatbreads this week. 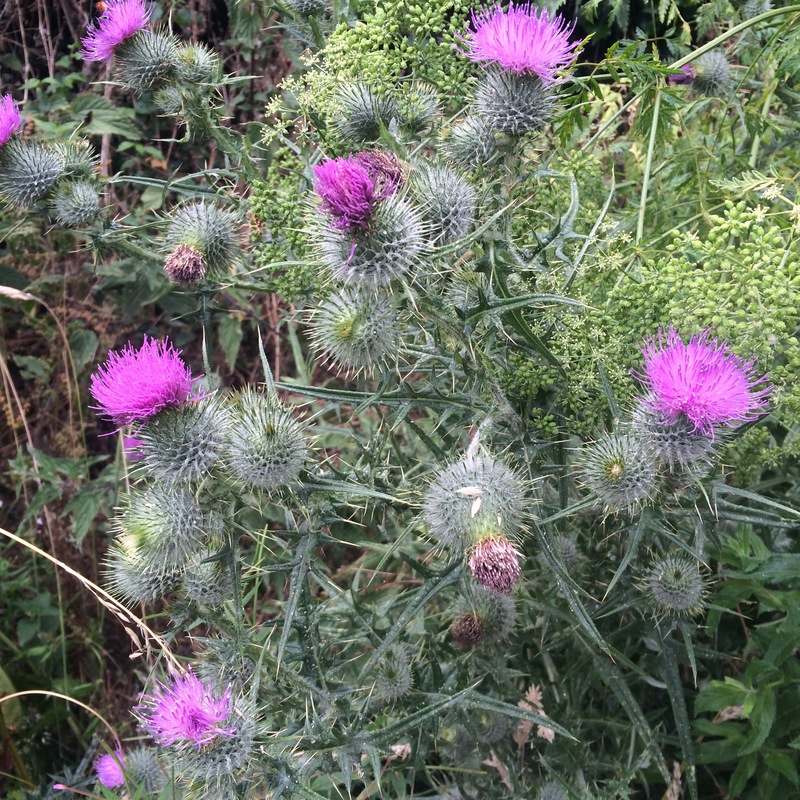 They were so easy and a perfect accompaniment to the kind of food I like to prepare and eat. I posted the recipe earlier this week. 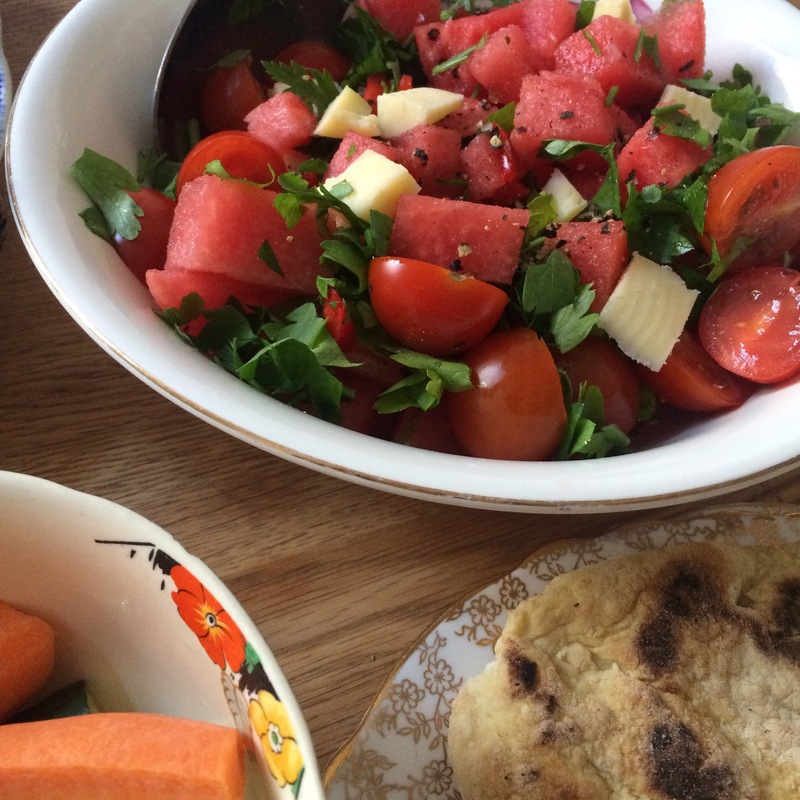 I made a lovely salad with watermelon, tomatoes and red chillies too. So fresh and tasty. And the colours looked wonderful with the green of the herbs. It’s so nice to be in the kitchen and look at the ingredients you have and think “what am I going to make out of this?” I love the challenge of creating meals out of my fridge and cupboards. I usually find inspiration on Instagram or from my huge collection of cook books. I have a bit of a thing for cookery books!! It’s bordering on a slight obsession. It’s funny because I don’t always follow the recipes I just use them as inspiration. Of course on many occasions you have to follow a recipe.. Like with baking for example but I find it quite easy to create recipes of my own with the ingredients I have to hand.. Thank goodness for that as sometimes when the cupboards are looking pretty bare before grocery day I can still create tasty meals. I love breakfast.. I never, ever skip it. I mostly have my homemade granola but mix it up a little everyday. Sometimes I just have it straight up with milk. I like almond milk.. It adds to the nuttiness of the granola. It’s great with fresh fruit and yoghurt. On this particular morning this week I had juicy watermelon and thick Greek yog… So blimmin’ tasty and good for you too. What more does a girl need?? 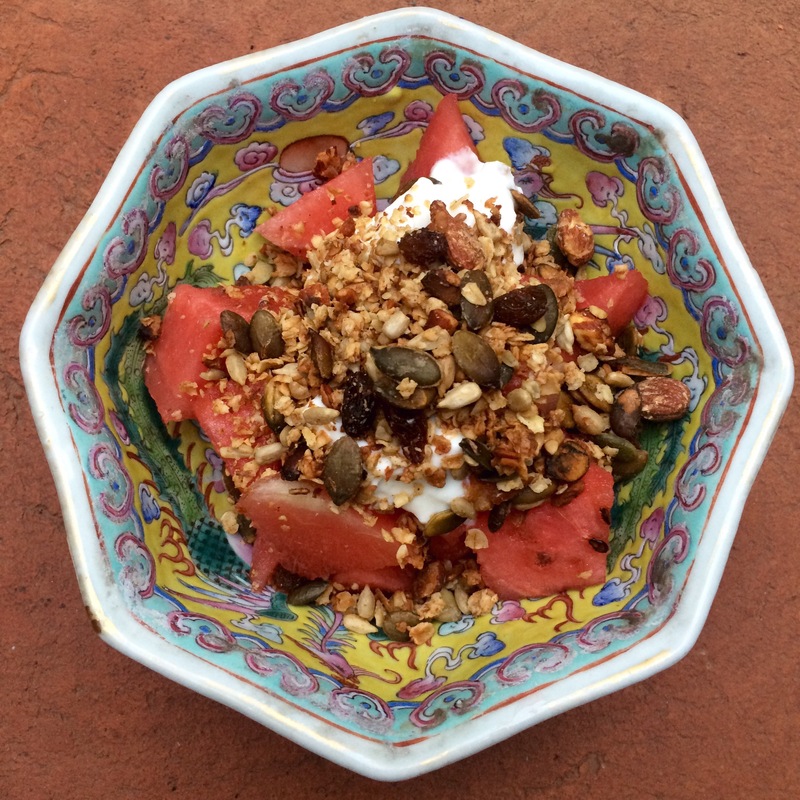 If you want the recipe for my granola it’s up on the blog. Just click on ‘recipes’. It’s worth the effort and so tasty. Thursday night saw me race home from work and try and create a meal for four in less than an hour. 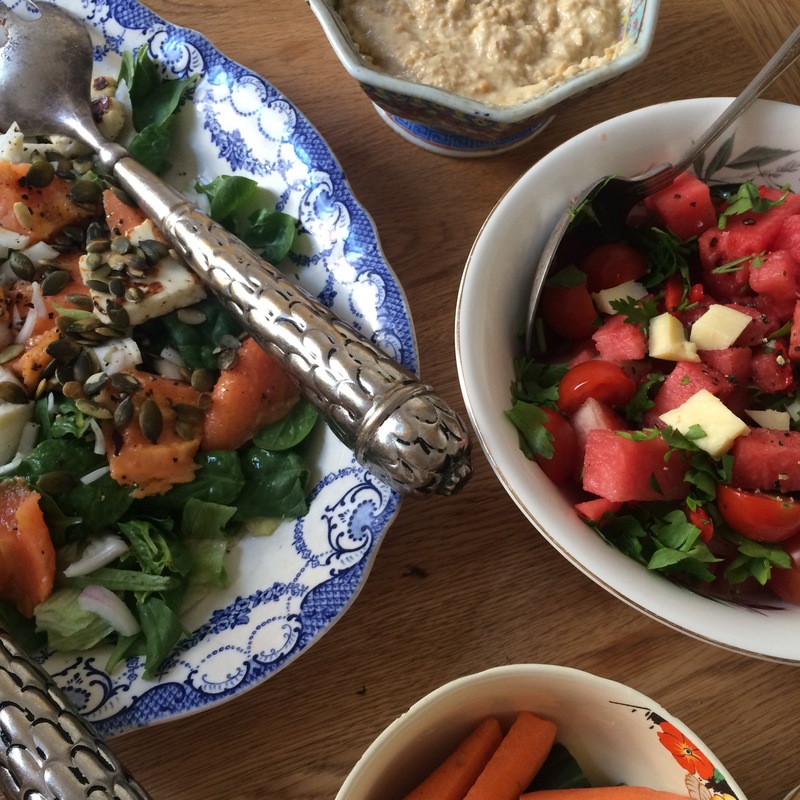 I had planned to keep it pretty simple.. Roasted veggies, a herbed pearl barley salad, a watermelon,feta and mint salad and a roasted aubergine,spinach and sundried tomato salad with a tahini and lime dressing all pulled together with homemade tzatziki and homemade flatbreads. The flatbreads are my new favourite thing! Check out the previous post for the recipe. So, so easy and impressive for your guests.. Plus they take about twenty minutes to make from start to finish! That’s my kind of recipe! 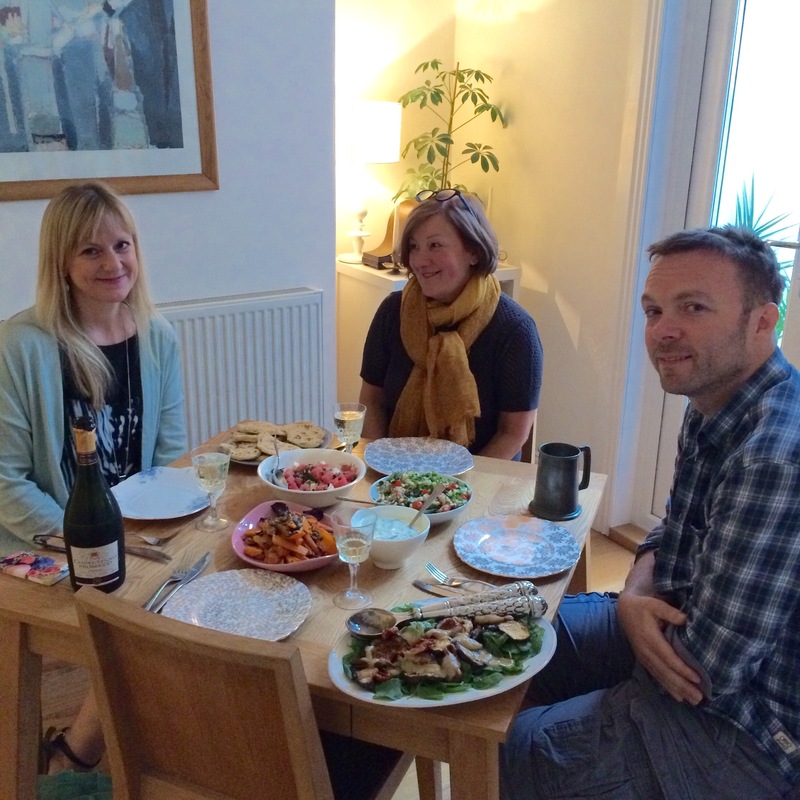 Serena, Wanda, Steve and myself sat down with our feast and a lovely chilled bottle of prosecco. Always a must when with Wanda. We love a zingy, bubbly glass of fizz. It feels special and celebratory.. We might not have a particular reason to celebrate but I think friends and food will do it on this occasion!! 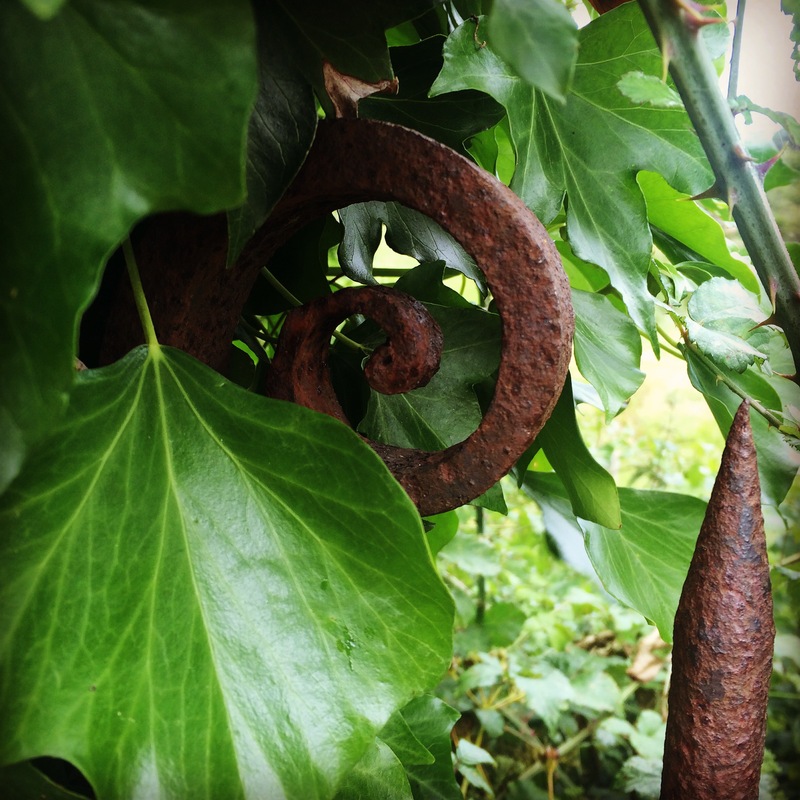 I hope the weather improves here in order to do some more lovely things. I have a few days off work next week so Steve and I are going to “staycation”. Alex our friend is visiting so we plan to have a holiday from home.. Do a few day trips and the like. I can’t wait to tell you all about it.